Aomori is no different from most other places in Japan with respect to the fact that it is home to an amazing local pottery culture. The most famous of which, is undoubtedly the Tsugaru Kanayama-yaki type of pottery nestled in the quiet mountainside of Goshogawara City. 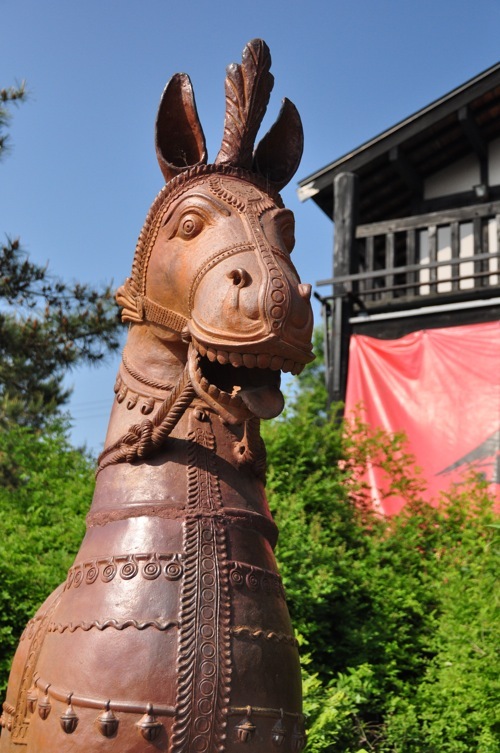 The pottery here is known for its deep earthy quality that ranges from hues of copper brown to a rusted iron red. The entire site houses several huge kilns, a gallery, classrooms, cafe, as well as many works of pottery on display amid many of the beautiful flowers in bloom in the gardens. If you arrive hungry, I recommend you try your hand at making your own pizza at Patata, the relaxing cafe on site. The cafe staff will guide you through the process, and you can choose your own toppings to create your own original pizza. Of course they also have some uniquely Japanese ingredients, such as shimeji mushrooms, corn, and mayonnaise, so why you are at it you might consider getting experimental. 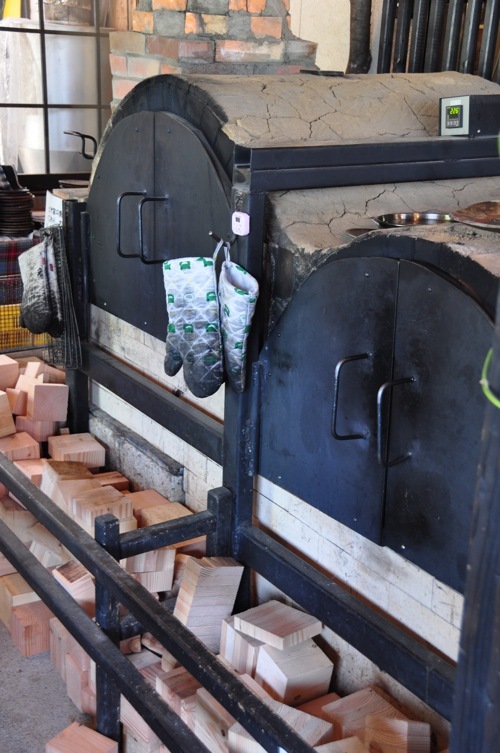 After a delicious lunch you can sign up for a hands-on pottery lesson Kanayama-yaki style. 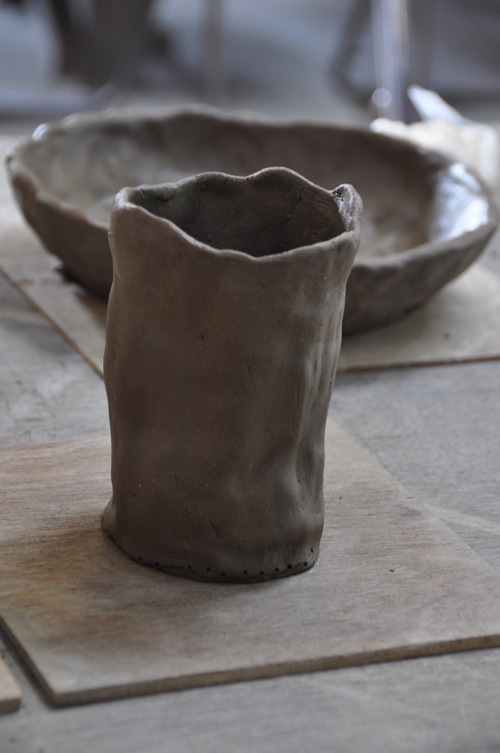 A friendly pottery instructor is available to help you through the process in making just about anything you want. With some patience and some perseverance you can have a wonderful cup or beer mug. After carving your name on the bottom, they will fire your creation in the kiln, however it usually takes about 2 months before it is ready. I was told that the mineral content and porous nature of the clay are said to enhance the flavor of the water or beer you put into the dish, I can’t wait to try it out. Pottery can actually be quite intense and tiring, especially if it is your first time, so you might work up an appetite for one of the many delicious desserts they have at the cafe. 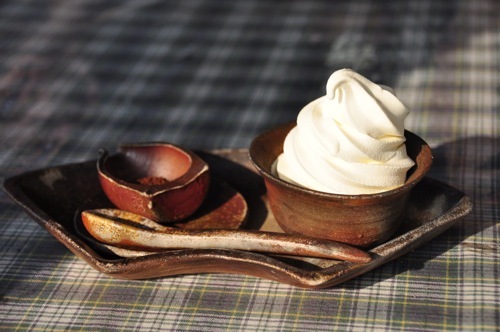 Highly popular, their ice cream is served with a garnish of freshly-ground coffee beans on the side, is a wonderful treat served in Kanayama-yaki dishes. I highly recommend spending at least a few hours at Tsugaru Kanayama-yaki enjoying all there is to do here. 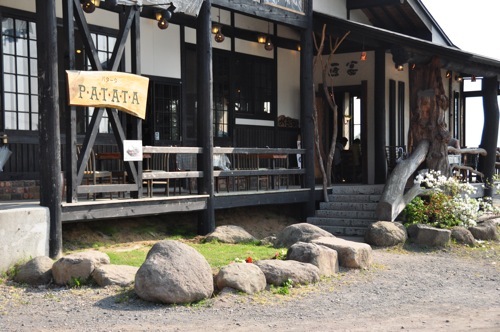 Open all year round, from 9 am to 5 pm, Tsugaru Kanayama-yaki is a great way to spend a day in Goshogawara filled with creativity and delicious eats! 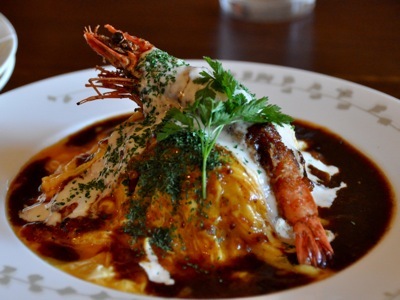 Hirosaki City might very well be the gourmet capital of Aomori Prefecture. Known for its chic and historical image, numerous French and Italian bistros, cake and pastry shops, Hirosaki also boasts many well-established traditional Japanese sweet shops and fine eateries. But with so much to eat, there is always a restaurant I want to try and check off my list. Today I want to introduce the rather popular crepe and dessert cafe, Dessert House. 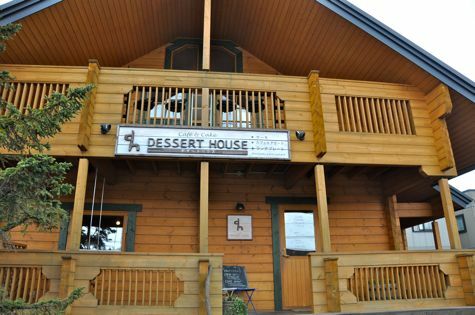 Dessert House has a clean, bright, and inviting wooden exterior as well as interior. 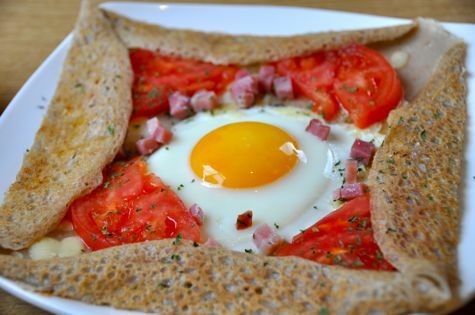 Tomato, ham, and egg crepe. 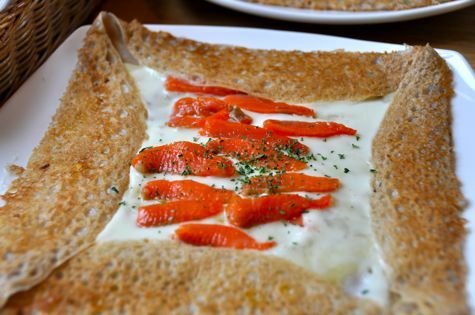 As you can see, crepes are their speciality. 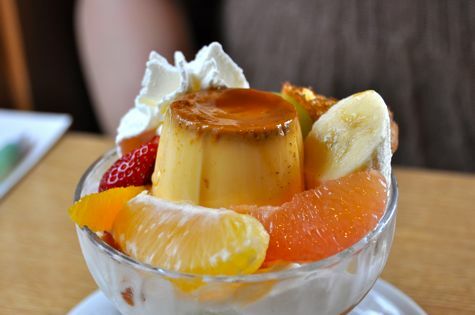 Delicious assorted fruit parfait with custard pudding. 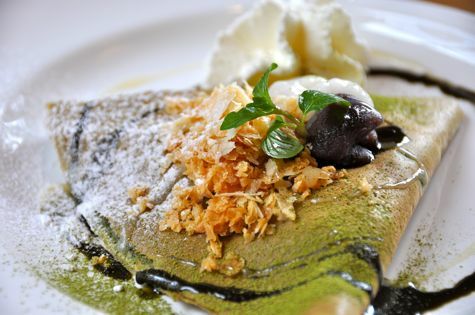 Of course they also have Japanese fusion dishes, like this one, a beautiful matcha green tea crepe with azuki bean paste and kuromitsu sauce. Dessert House also has a bakery with a fine assortment of cakes, donuts, and other delights. If you are in Hirosaki and have time for desert, please stop by Dessert House! Finally Aomori’s Own Apple Cider! Aomori’s apples have a reputation for being some of the best tasting, highest quality gourmet apples in the world. Being fortunate to live here, Aomori has given me countless occasions to enjoy apples, whole and raw, baked in desserts, stewed, made into chilled cream soups, candied and just about every culinary creation you can imagine. But one apple dish that I really missed from home that I thought would do well here was apple cider. The fresh tart taste of apples combined with the unfiltered natural appearance is something which has a universal appeal. Unfortunately, nobody in Japan or Aomori had ever heard of apple cider. In Japanese, the word “saidaa” (cider) generally refers to a light carbonated soda like beverage, so it was rather difficult to explain how delicious it is… until now! 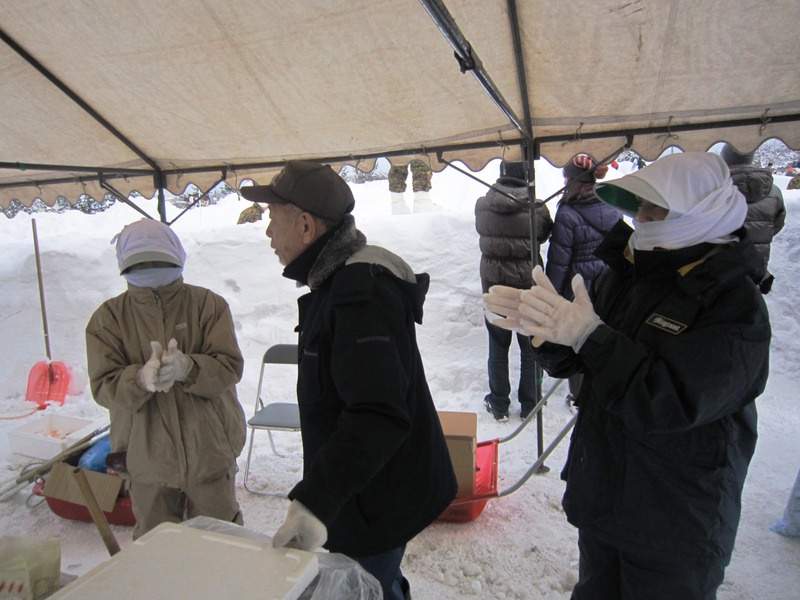 Enter PaSaPa, a volunteer group from the apple producing Namioka area of Aomori City. 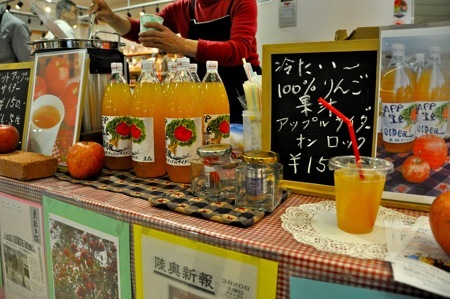 One of their most active members, a cheery lady with an apple-red smile developed Aomori’s (and Japan’s) first ever apple cider last year. I had the pleasure of meeting her earlier this year at work and got to sample her excellent brew. 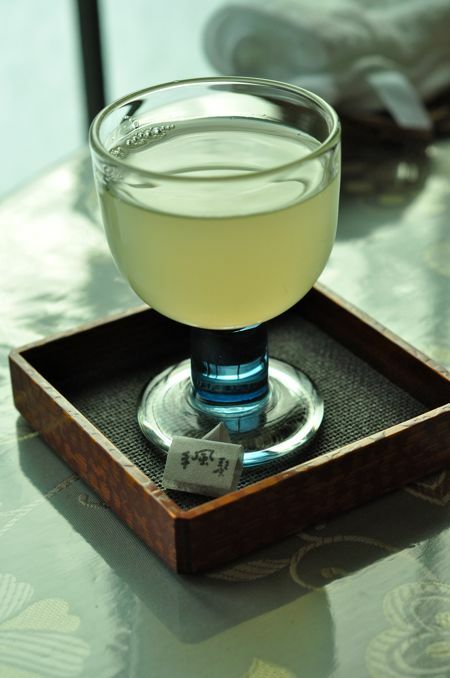 She told me that she got the idea to start apple cider after hearing that it is a popular autumn and winter beverage in New York from an American visiting her home. I wish I could take the credit, but what’s more important is the result… this amazing apple cider. 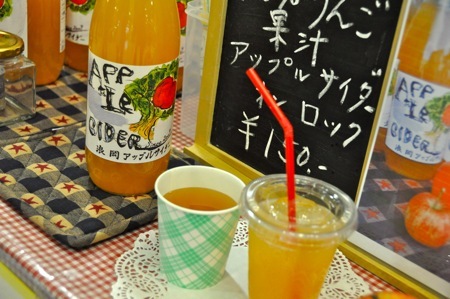 PaSaPa has been serving their delicious apple cider hot and on the rocks at ASPAM, the prefectural tourism building near Aomori Station on select Saturdays and holidays. 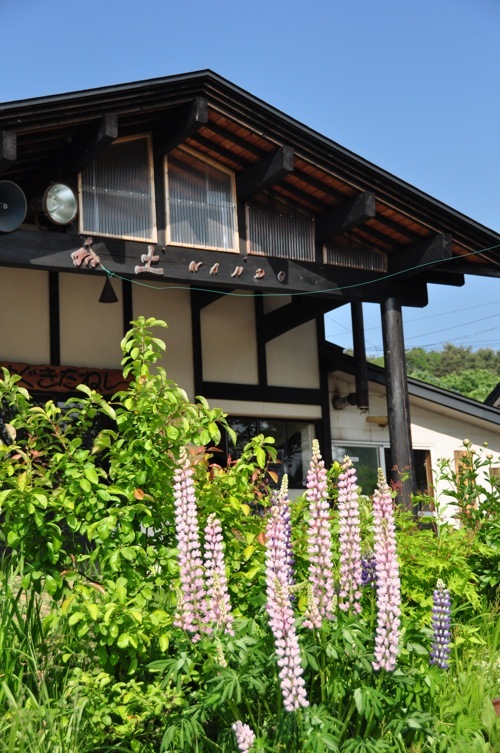 They are also serving it at Apple Hill, the Michi-no-Eki in Namioka, and one of my favorite ice cream shops and cafes in Aomori, Rashinban. Hot apple cider comes with cinnamon and cloves if you prefer, and something that I had not seen before in the USA, whipped cream. Adding whipped cream makes it taste like a nice warm apple pie. 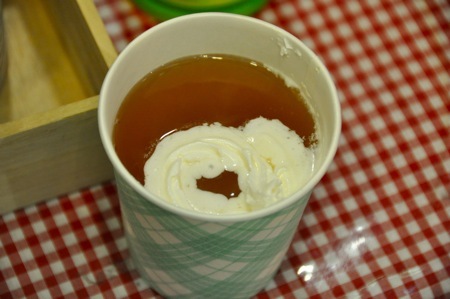 This past winter they served hot apple cider in Tokyo’s fashionable Omotesando district where they got a very good response. I’m hoping that Aomori’s own apple cider will catch on all over the prefecture and Japan, so keep your eyes open for it! What is Hot Lips you ask? If it wasn’t for the Japanese katakana syllabary in the back there, you wouldn’t know that it’s Japan. Even the small details, from the salt and pepper shakers down to the pepsi glasses are all Americana. The only thing I can think of that would make it complete would be large fluffy paper napkins in a polished metallic napkin holder. 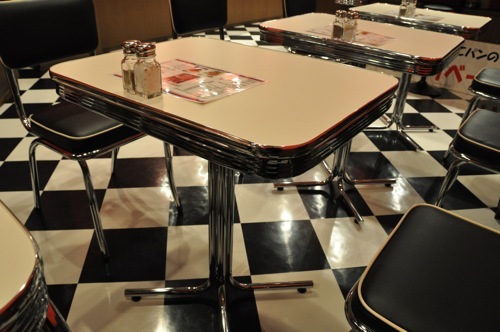 The black and white floor reminds me of Twin Peaks, and on the walls hang Route 66 road signs, a poster version of Warhol’s Marilyn Triptych, and even a Where’s Waldo poster in the bathroom, all making it a very poignantly American experience, even if Where’s Waldo is originally from the UK… But anyway, how is the food? It’s good! I could tell that the burgers weren’t exactly 100% American and were more close to the Japanese ideal taste of burgers, which is generally a juicy and much softer texture and less beefy taste than American burgers. 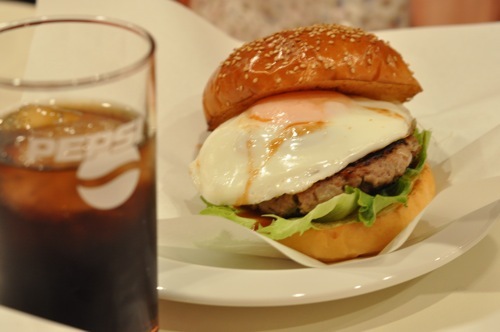 If you have never seen a Japanese person make a hamburger, then you should know that they get pretty serious about their burgers, tenderizing the patties with lightning fast speed so that the warmth from the hands of the cook won’t affect the taste of the meat. Anyway, the burgers here come in affordable sets including a drink and a salad or fries. There aren’t too many places in Japan besides major fast food burger chains that have burger buns, so I was surprised to learn that the brother of the owner runs a bakery in Aomori, and makes all the buns for the shop. Besides burgers the menu also has pancakes, some pasta, sides, and Loco Moco, a Hawaiian favorite of mine that I have yet to try. 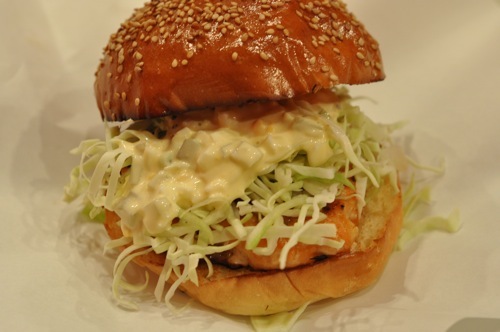 They also have a salmon and shrimp burger, which was really good, so you can also bring vegetarians. The prices are pretty reasonable, drinks are well priced and they have a good mix of beer and different popular cocktails in Japan and of course, whiskey. I haven’t had a chance to go yet for lunch but they have lunch combos too that look great. Oh, and they are open really late, from 11 am to 3 am! I’m hoping that late night pancakes and burgers will catch on here like in the States. 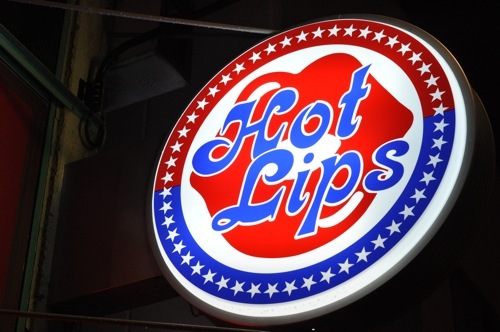 Anyway, if you get a chance, try Hot Lips, a gem that offers a taste of Japan in a taste of America in Aomori. Lately the snow has melted, and the weather in Aomori has been warming up. It’s hard to keep from wanting to rush outdoors and soak up the sun. 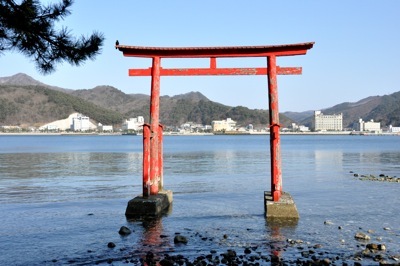 Looking for something to do outdoors that would give me a taste of the spring, I heard of an event going on a small uninhabited island called Yunoshima, located in Asamushi, a neighbor in Aomori City famous for its hot springs. 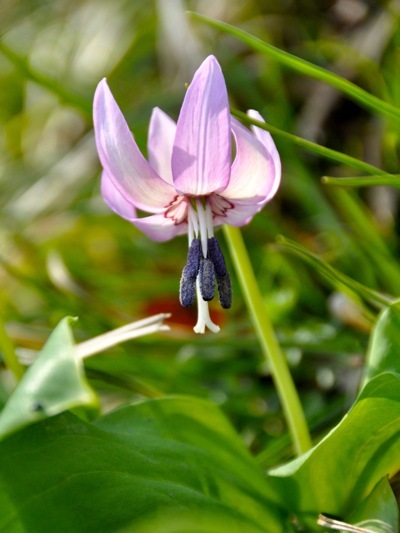 From now until April 25, you can take a small boat over to the island and go hiking to see the spring wildflowers that grow there, in particular, a favorite called the katakuri, or the Dogtooth Violet as it is known in English. 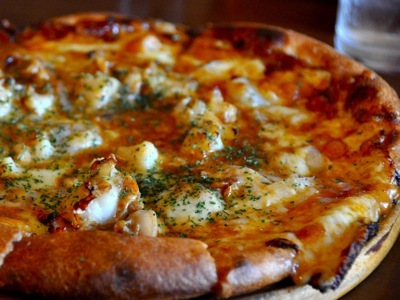 Having not eaten a really substantial breakfast, I went to “Pizza House Sharumu”, a well known establishment just a minute walk from the Asamushi Onsen train station, approximately 20 minutes and 4 stations away from Aomori Station. Anyway, it was my first time to eat here, so I had to try their pizza- I decided to go with the scallop pizza, since it was my first time to see scallop pizza, but they had a lot of different varieties of pizza on the menu. I also tried their famous “omuraisu” (a Japanese dish consisting of tomato sauce flavored rice covered in a nice hot gooey omelette. I know it sounds a little unbelievable, but “omuraisu” is one of those Japanese dishes you just have to try to appreciate. After this delicious lunch, it was time to head to the docks to catch a boat ride to Yunoshima, the small mountain island just about 800 meters from the shore. After a short 5 minute boat ride we were there on the island. 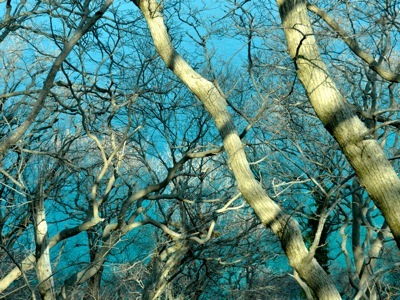 From a distance it looked gray and bare, so I had my doubts about being able to see any signs of spring. 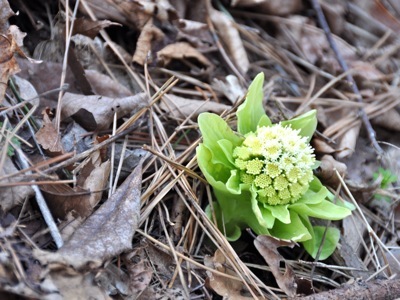 However, it wasn’t long before I stumbled upon fresh life poking its head out of the fallen dead leaves. It was very impressing to see the variety and beauty of all these early blooming spring wildflowers as I made my way up the steep sloping trail up to the 132 meter summit of the island. With of course, plenty of breaks to smell and take some pretty good shots of the flowers. 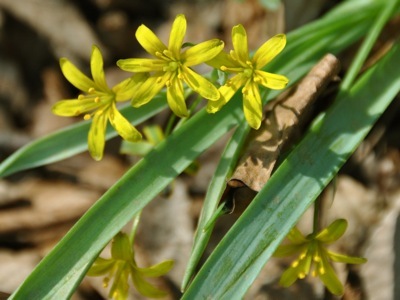 The day I visited Yunoshima was at the very beginning of the festival so there were few Dogtooth Violets in bloom on that particular day, but a great deal of buds were just a few days shy of blossoming. One of the volunteer guides on the island told me that it takes approximately 7-8 years for the Dogtooth Violet to grow before it blooms. 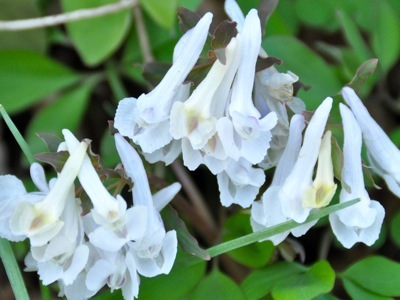 The Dogtooth Violet is also a treasured plant in Japan since ancient times, gathered for its starch for use in cooking, similar to cornstarch. 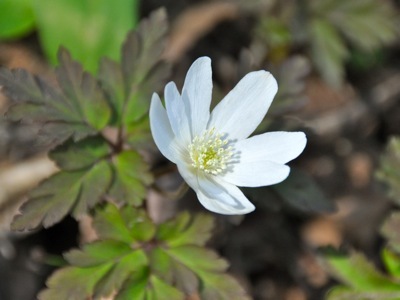 Today it is one of the first flowers to bloom in the spring, and is also the most famous of the “spring ephemerals”, flowers which flower the earliest in spring and wither before summer. 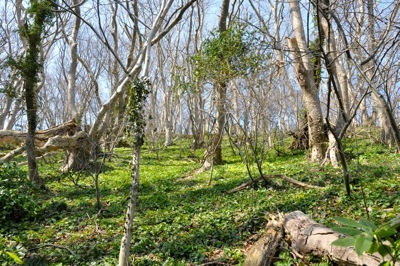 Satisfied on finally find a blooming Dogtooth Violet, I started my descent down the trail after taking in the scenery from the summit of the mountainous island. So I decided to treat myself to the “cassis” (black currant) ice cream at Yu-Sa, the Michi-no-eki (Road Station) at Asamushi. Aomori is the top producer of not only apples, but also black currants! 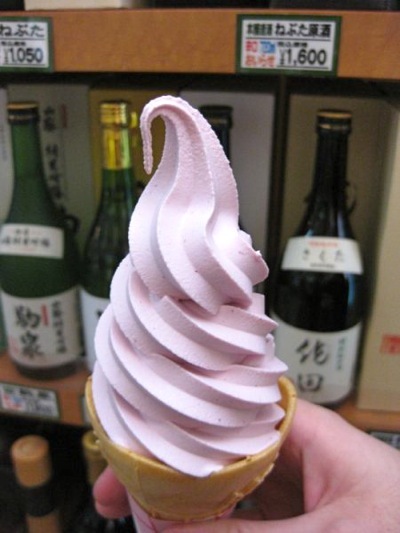 You can find plenty of black currant jelly and even black currant wine in Aomori City, but I’m a fan of the ice cream. Anyway, the “festival” at Yunoshima is just starting and will continue for two more weeks so if you have a chance, please check it out! No, it’s not Bamm-Bamm’s club from the Flintstones… it’s the super vegetable known as the Nagaimo. 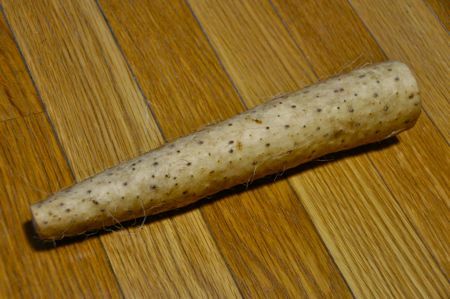 Nagaimo is a type of yam that is highly nutritious and versatile in its usage. You can’t talk about Nagaimo without mentioning Aomori, as the prefecture is the top producer of Nagaimo in Japan, and Nagaimo can be found just about any produce section of the grocery store here. Peel away the tan skin and small hair-like roots of this vegetable to see its inner milky-white porous beauty that makes it a highly prized ingredient all over Japan. 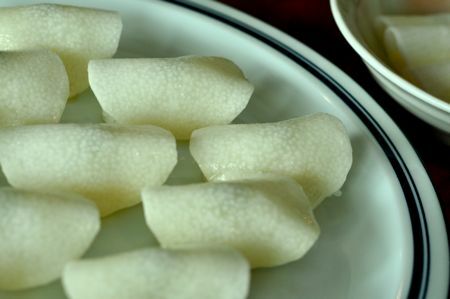 Most commonly grated to make tororo, a type of slimy white goo that is added to buckwheat noodles, soups, or bowls of warm steamed rice, Nagaimo can also be diced into cubes and added to salads to give it an interesting almost water chestnut like texture. Nagaimo can also be fried, roasted, stewed, and just about anything else you can imagine. It has a very fresh and less starchy taste when compared with a potato, so one of my favorite ways to enjoy it is by grinding it up with vanilla ice cream and milk to make a thick healthy milkshake. 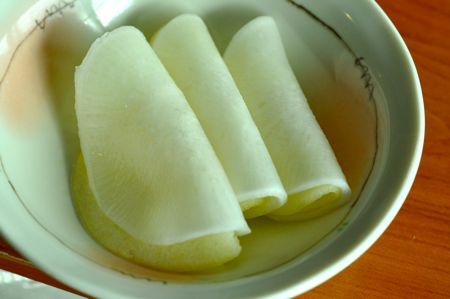 Nagaimo is rich in vitamin B1, dietary fiber, and many other nutrients. 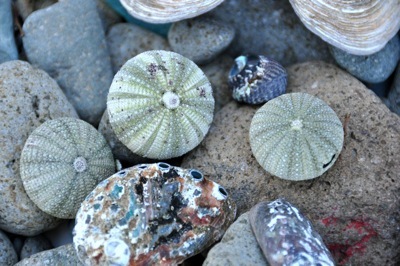 I’ve also heard that Nagaimo has a protein that may be useful in preventing the flu. Anyway, I had heard about a restaurant in Aomori City that specializes in Nagaimo dishes: Tefūkin, so I was excited when I finally got the opportunity to try this place out. The chef is a master of Nagaimo cuisine and has published an excellent cookbook of just Nagaimo recipes. 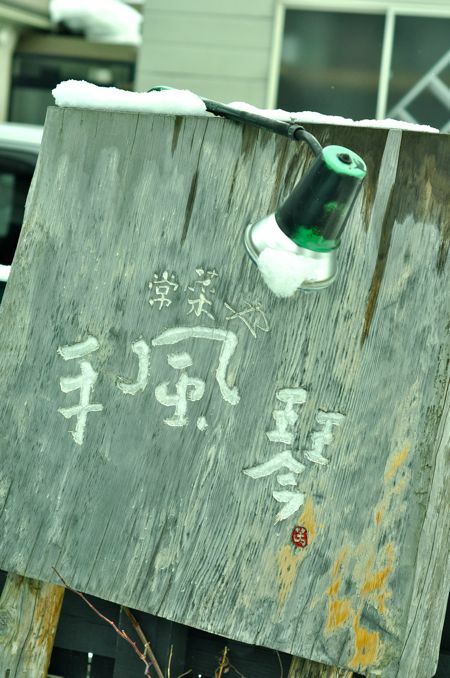 Here is the sign, it reads “Tefūkin” – which is a strange name. The three Chinese characters mean hand, wind, and zither-like instrument (koto). What could it possibly mean? 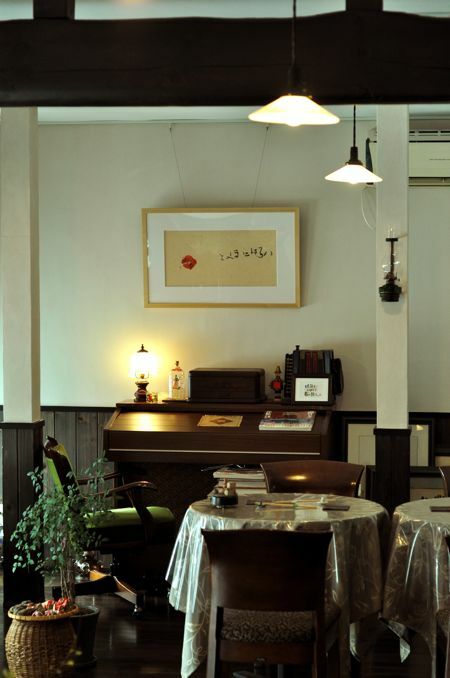 Inside a charming interior welcomes you with old lanterns and antiques, giving a Taisho Romantic (the Japanese equivalent to Victorian) feel to the restaurant. 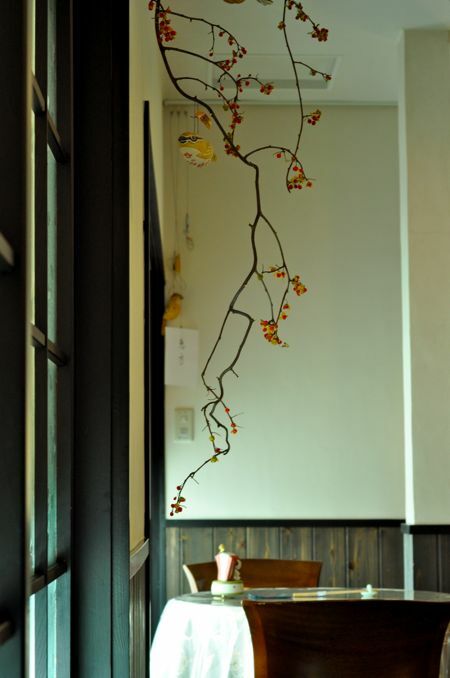 The owner has many season flowers and plants, as well as birds decorating the restaurant. There was even a recording of birds chirping in the background making for a calming, light, airy atmosphere. 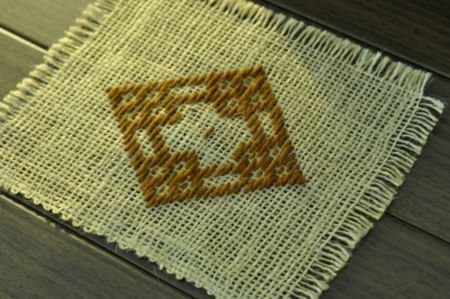 This is Kogin Embroidery, a famous needlework tradition of the Tsugaru area. 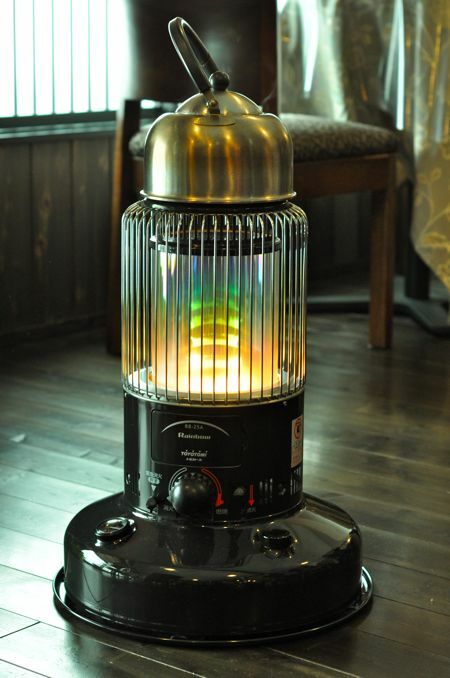 A nice kettle keeps warm on a kerosene stove. 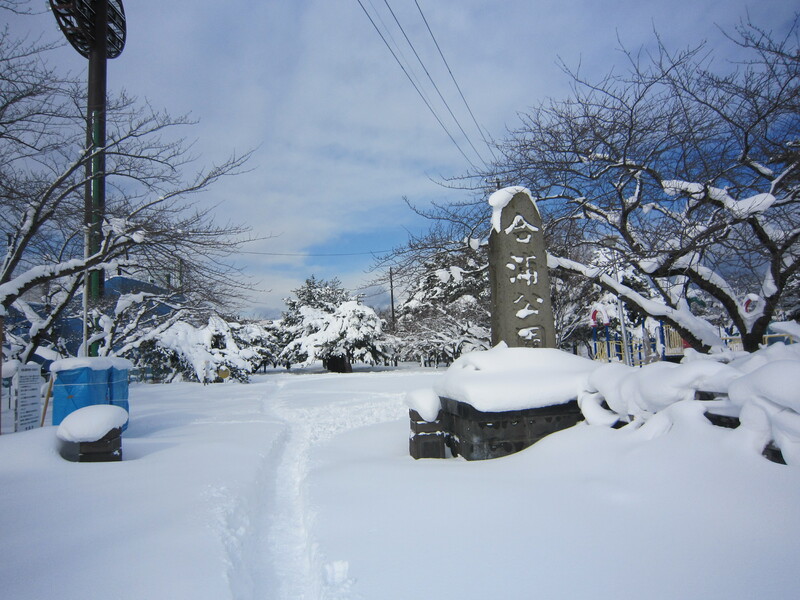 A very heart and hand warming winter Japanese sight. A hot cup of tea is only a moment’s notice away. 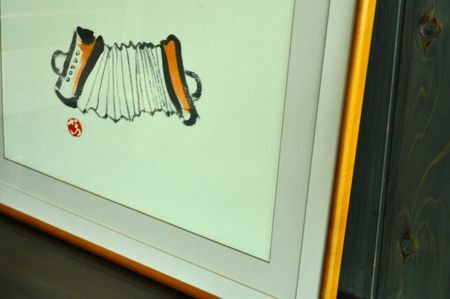 I also noticed an antique accordion and a painting of an accordion. It turns out that the name Tefūkin, (hand-wind-zither), is an archaic word for accordion. You learn something new everyday, and at least the mystery behind the name of the restaurant was solved. Now it was time to eat… there were several dishes to choose from and since I went with a few friends, we choose to try all 3 dishes featuring Nagaimo. Each lunch special was a steal for 1000 yen. 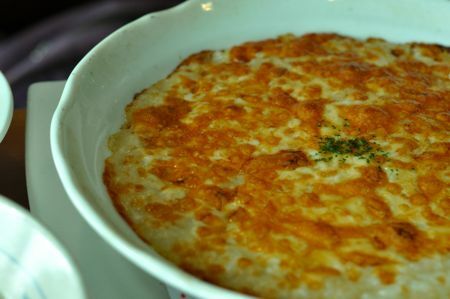 “Cheese Gohan” (Nagaimo and Rice with Melted Cheese) Lunch. Complete with salad, soup, and pickles. The aroma, color, texture and flavor of this is pure heaven for any cheese junky. 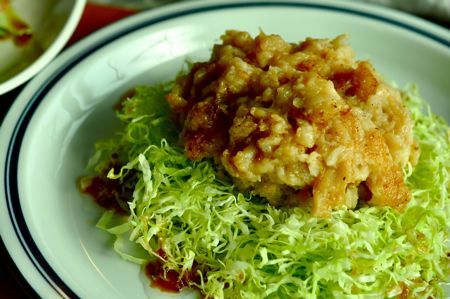 This is the “Korori Ishikoro” (Nagaimo sauteed in butter with croquette). Very savory and flavorful. Now don’t let your eyes deceive you, this sushi dish “Hatsukoi” is not raw fish but in fact thin slices of Nagaimo painted with a clear, light, sweet sauce. 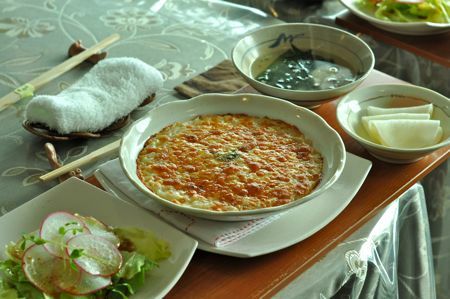 According to the chef, it is the most popular dish and a must-try for the Nagaimo aficionado. 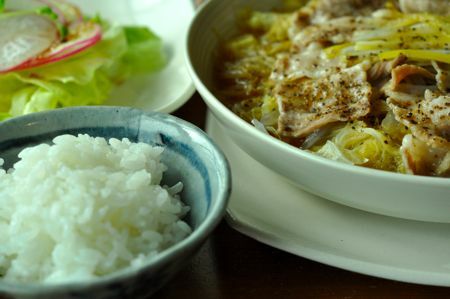 This dish, the “Mushi Buta” or Steamed Pork & Vegetables is made with Garlic Pork, a variety of pork raised in Aomori on a diet including the locally grown speciality, garlic. I thought I could taste the garlic, but I’m not 100% certain, it was amazingly tasty however. It wasn’t made with Nagaimo but is highly recommended anyway. And what Japanese meal wouldn’t be complete without pickles? Here we have pickled radish and apple from Aomori Prefecture. The sweet and sour tastes were a refreshing match. No English menu but you should be able to order any of the above dishes without any problems! 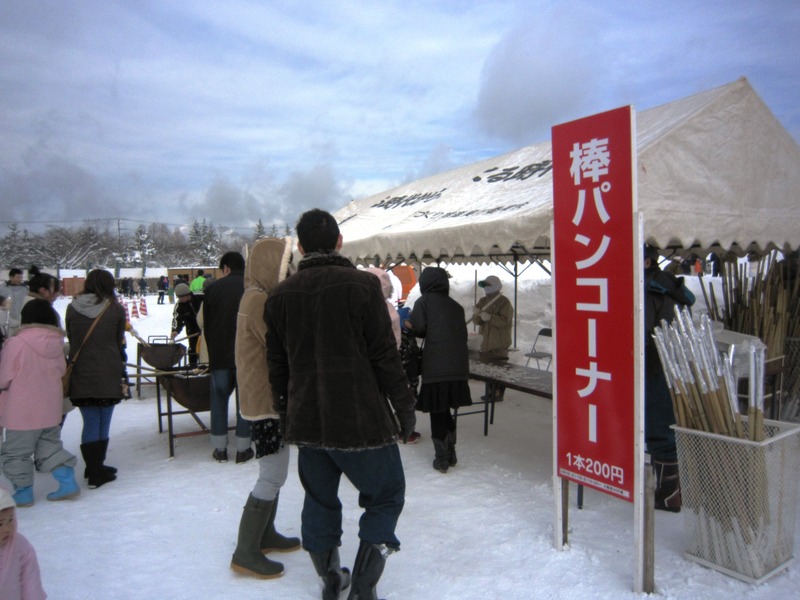 This weekend, Gappo Park in Aomori City is hosting its annual winter festival! 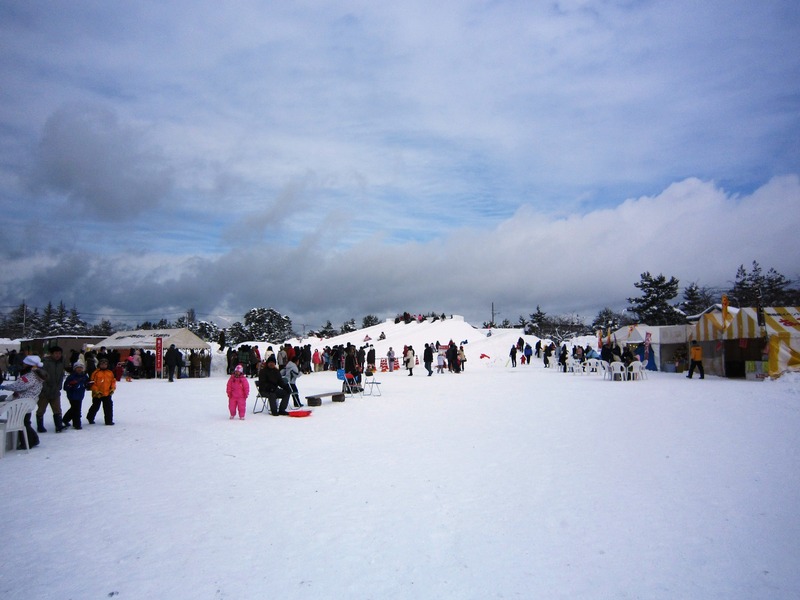 The park is only about 20 minutes from Aomori Station and there are a lot of great activities to check out! The first thing that caught my eye was the bread making area! Check this out! 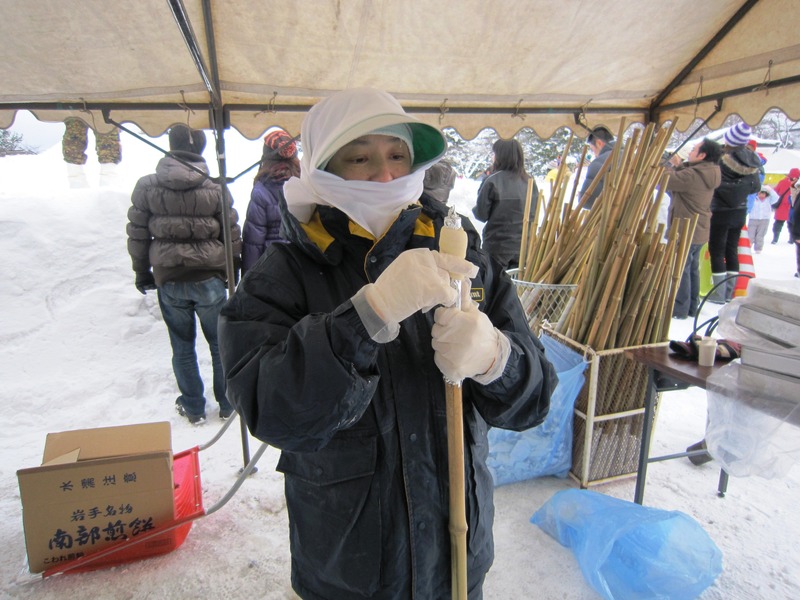 For 200 yen you receive a bamboo stick that the little ladies wrap dough around. It looks like this! 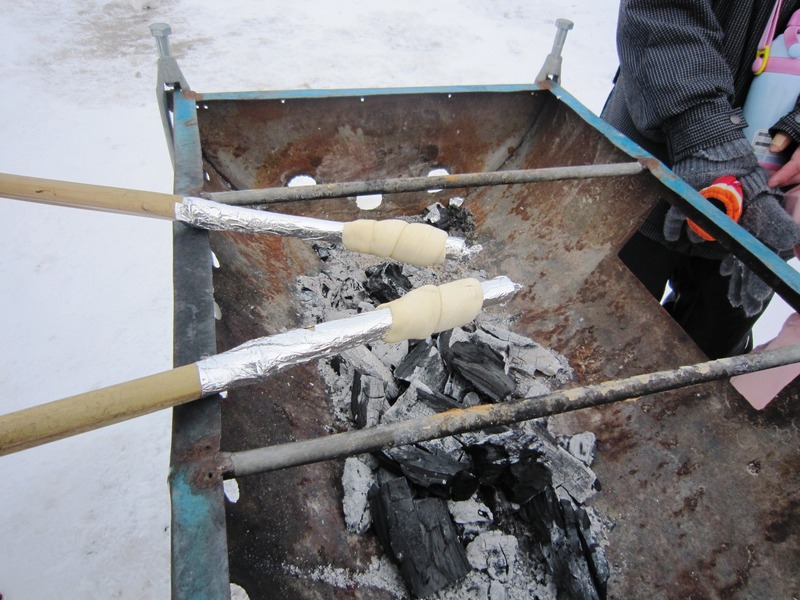 After the dough is prepared, you cook your bread over a coal fire. It takes a while, but it was really yummy! As you can see in this photo, there a lot of other activities that are going on such as a BINGO game! 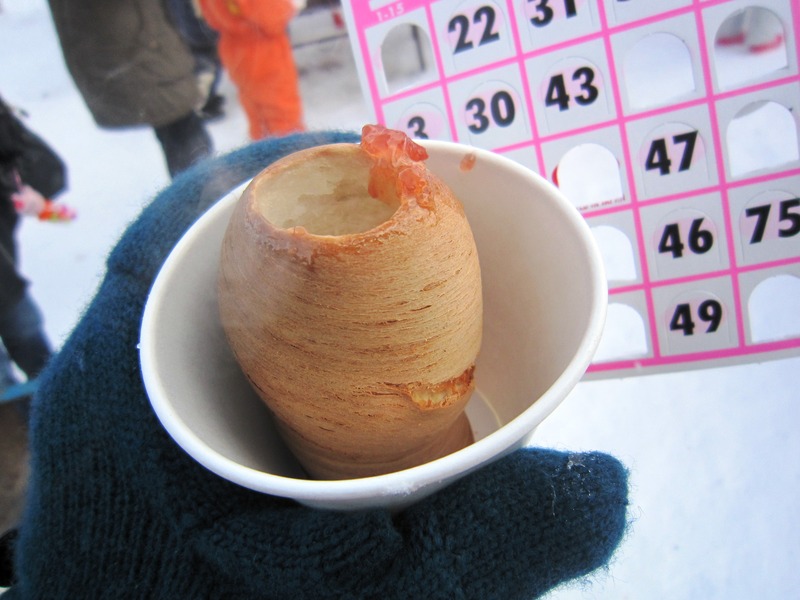 You can win everything from Onsen tickets to food! If you make it early enough in the morning there is also mochi tsuki (rice pounding)! Mochi-tsuki is a traditional Japanese activity that usually occurs around the New Year. Basically it involves a large wooden hammer that pounds cooked rice into soft rice cakes. 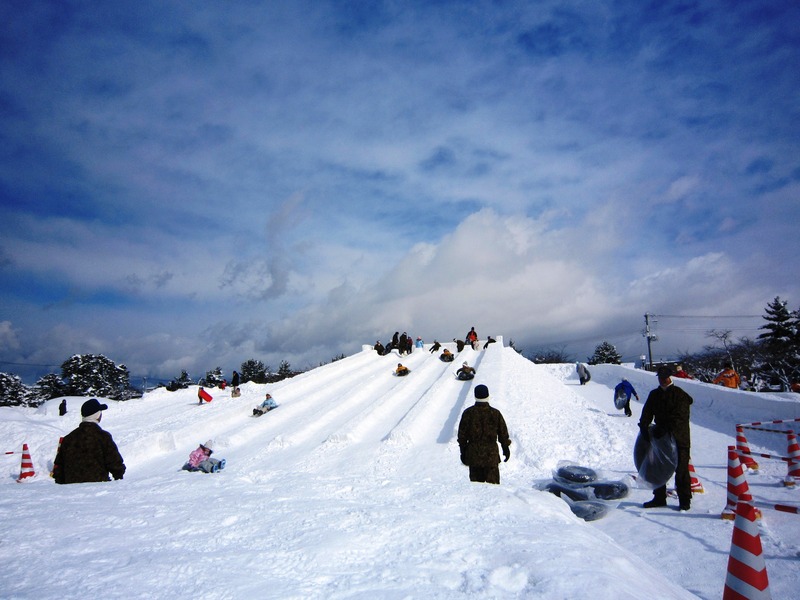 You can also enjoy watching Japanese dance, eating, horse riding, or a HUGE snow slide. Look at this! If you are interested, the festival is going on through tomorrow, so get on your winter suit and join the fun! If you can’t make it for the winter festivities the park offers seasonal fun year-round from cherry blossom viewing in the spring to a marathon event in the summer. 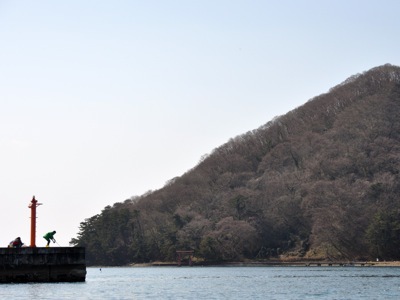 Put Gappo Park on your next list of places to go in Aomori City! 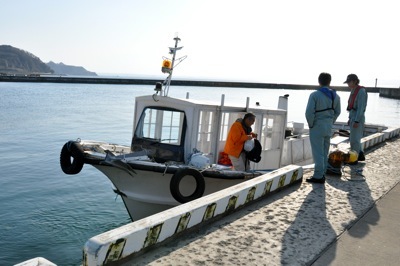 All images, text, and other content are copyright Aomori-mori Blog. Please do not copy or use any content without permission from the blog administrator.